8-12 pieces per guest for a reception or light dinner. Please contact our Catering Department between 9:00 a.m. and 4:30 p.m. Monday to Friday at 519-254-5665. Appointments are available at your convenience. 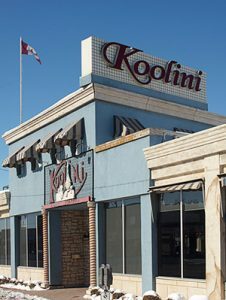 Koolini Italian Eatery specializes in catering for business or personal events. Whether it’s birthdays, communions, showers, weddings or any family gatherings, we cater to your needs.